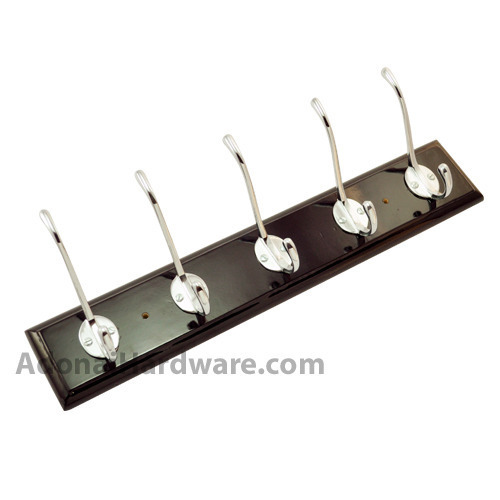 The color black has its own elegance and grace and what could be more refined than glossy black color wood and this whole magnificent package has been brought together by 5 Brass Hooks on Glossy Black Colour Wood. Fit it anywhere you like and easy to mount on as well, this piece apart from taking care about the style quotient also takes care of the purpose like the traditional hooks. Comes with eleven finishes to choose from, this piece is an absolute wonder. Wooden Plate Dimensions = 16 1/2" x 2 3/4" x 1/2"